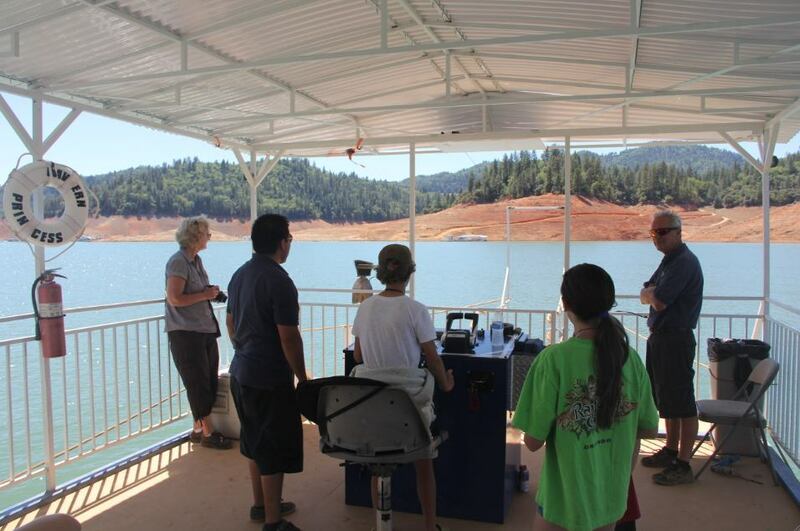 We’ve set off on a road trip in a 34’ motor home (more on the RV later) and yesterday we spent the day in beautiful Shasta County. 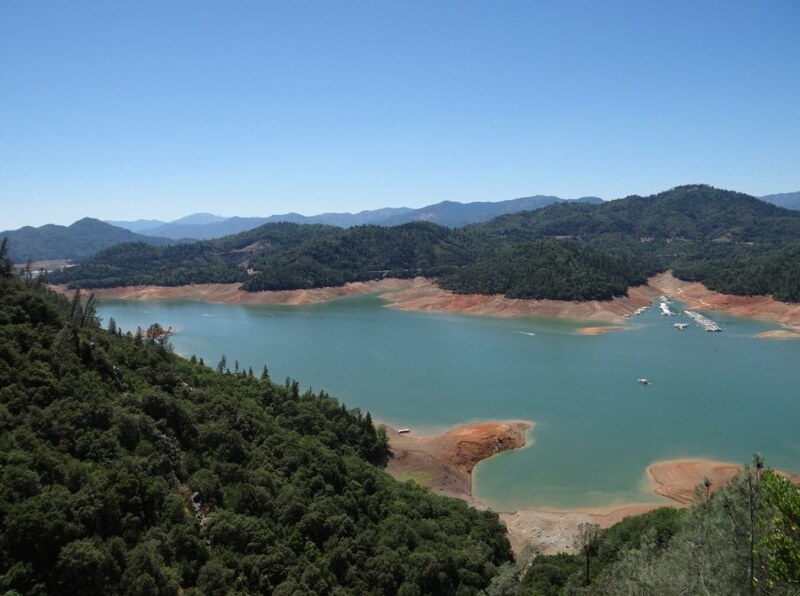 Shasta Lake is a reservoir created by damming in 1948 to provide irrigation for the Sacramento Valley. It’s surrounded by evergreen trees and manzanita. The land is orange because of vast quantities of iron oxide (read: rust) in the soil, and the water is turquoise. Inside the “cathedral room”. It’s huge. boat ride across the lake and a bus up the mountain on the other side. Wintu Indians knew about the caverns for a long time (a man chasing a bobcat bumped into them unexpectedly). 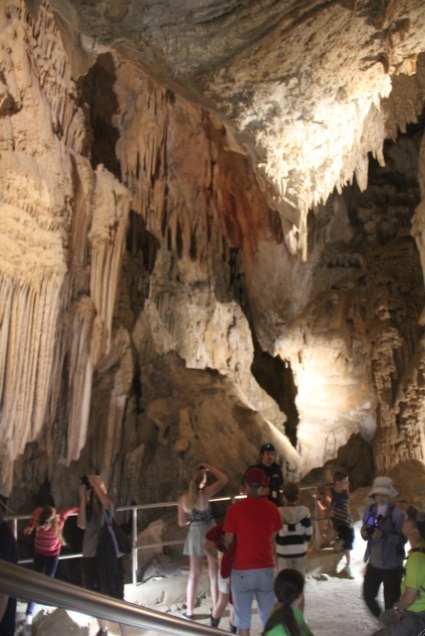 Since they were Native American, their knowledge wasn’t considered valuable, and the caverns are described as having been discovered by James Richardson in 1878. The caves are extraordinary. They’re huge and full of weird geological formations with names such as soda straws and bacon drapery, formed by water dripping in different ways over varying amounts of time. The geologists think that less than 1% of the caves have been discovered so far, and that the mountain in which they sit is 60% hollow. Until 1964, the only way to see the caves was to crawl through tiny holes – not our cup of tea at all. Luckily, a little bit of mining meant that we could walk around the caves quite comfortably. 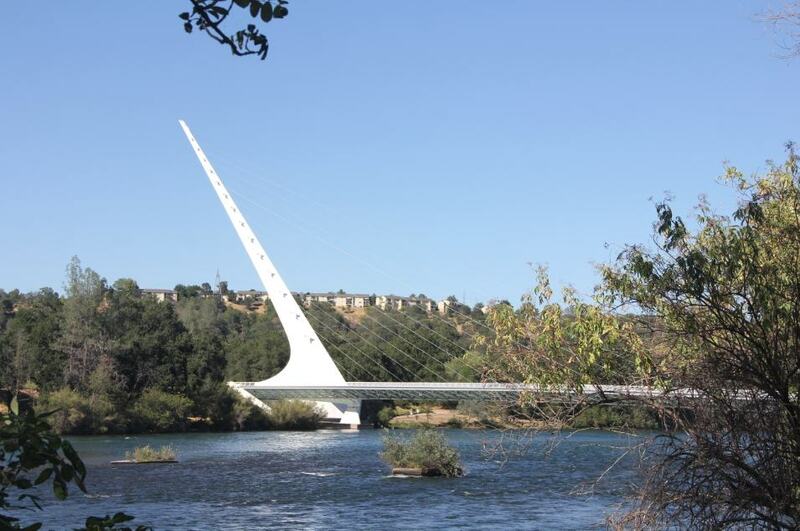 After seeing the caverns, we went to look at the Sundial Bridge in Redding. It’s a working sundial during the day and it’s illuminated beautifully at night.